Raised by the Scottish Crop Research Institute. Melody has been extensively trialled for the last 15 years. Crops have been good and reliable and the plants have proved to be highly resistant to Red Core. The fruit size is small to medium, does not bruise easily and has an attractive strong colour. 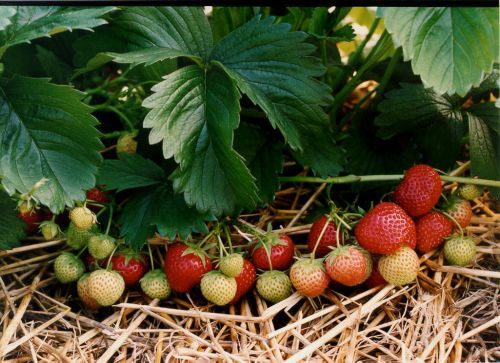 The fruit comes away from the stalk and has a very good strawberry flavour. Makes a lovely jam, a classic in pies and good for yogurt and all dessert use. Melody is a good new addition to the modern varieties and will prove ideal for those who still prefer the traditional smaller fruits.